Our compact asynchronous motors are distinguished by high torques in combination with a small size. They are highly dynamic with a low inertial moment, with a proven design as well as electromagnetically compatible for optimal, compact performance levels. We develop our compact asynchronous motors specially as speed-controlled drivers and for a supply from frequency converters. They also consist of a flexible platform system and can be adapted to specific customer requirements. The housing is angular and jacketless. Being ventilated by a separately driven fan, the motors can constantly deliver the full torque over the entire speed range. The optimised control behaviour with converter operation means that these machines can replace DC machines. LDW supplies compact asynchronous motors in an output range of 150 to approx. 2,500 kW at 1,500 1/min. Our asynchronous machines are always state-of-the-art and meet the requirements of the IEC and DIN-EN standards as well as the EC Directives. Compact asynchronous motors are supplied as cage rotors and in all prevalent types of protection and cooling. 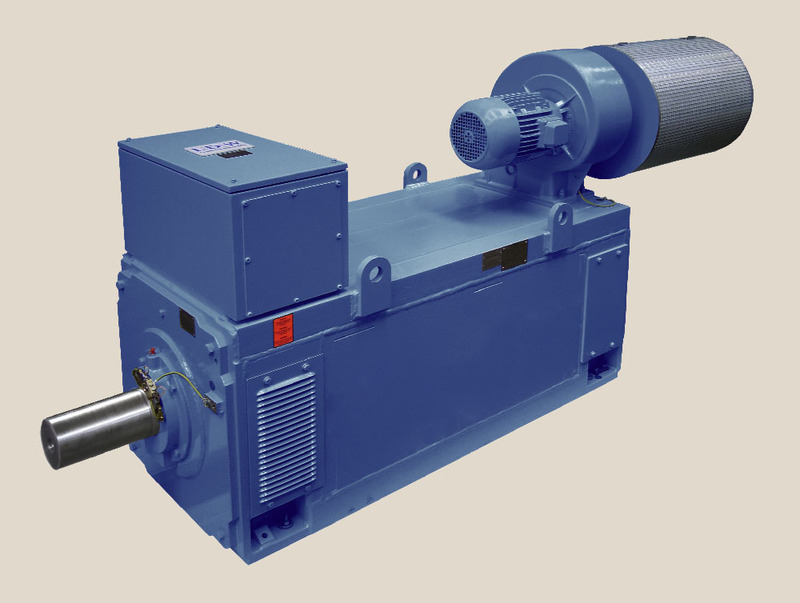 LDW manufactures these motors for installation as horizontal or vertical designs. They are suitable for frequency converter supply in the low voltage range. More questions about Compact asynchronous motors?